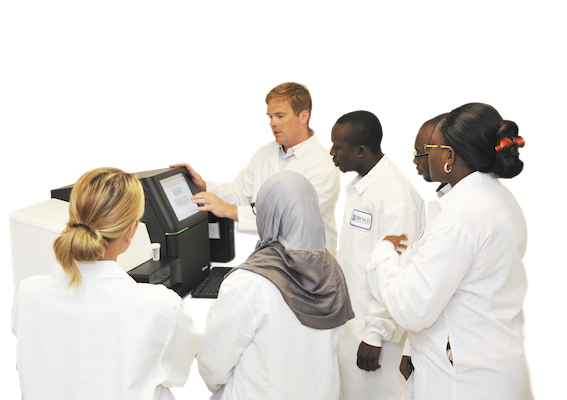 2014 marked the inaugural African Center of Excellence for Genomics of Infectious Disease (ACEGID) summer genomics training program held at Harvard University and the Broad Institute, Cambridge, MA, USA. Check out the program video below! Dr. Sabeti, Stephen Gire, and Sabeti Lab teammates 2014 Bostonians of the Year: Honorable mentions. Visit the link here . Time Magazine names “The Ebola Fighters” as their Person of the Year. Visit the link here . Dr. Sabeti featured as one of the scientists. Visit the link here . Dr. Sabeti featured in the New York Times, The Virus Detectives Sifting Through Genes in Search of Answers on Ebola. Visit the link here . Nathan Yozwiak featured in the Boston Globe, Knowledge of Ebola is the weapon to fight it. Visit the link here . Stephen Gire on a panel discussing Ebola at the School of Public Health. Visit the link here for the full article . Stephen Schaffner and Dr. Sabeti featured in the Boston Globe: Nigeria an example of how to contain Ebola. Visit the link here for the full article .